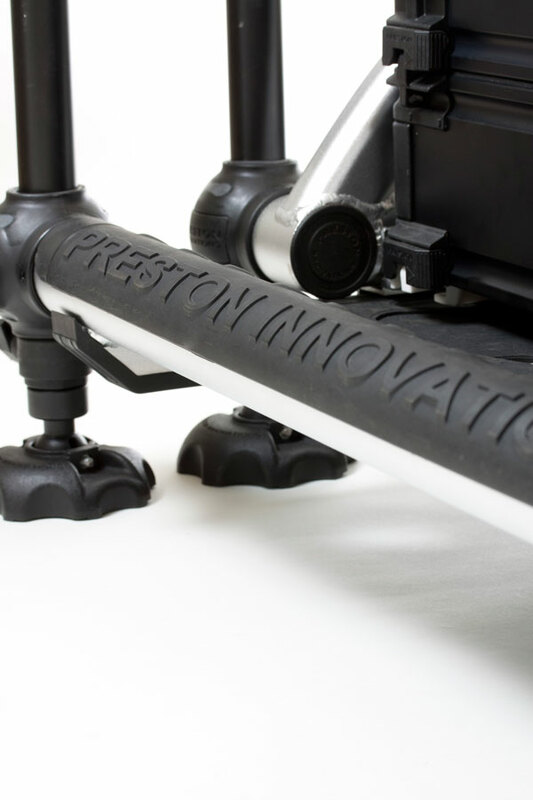 "...take the inserts out of any Off Box attachment it can be fitted straight onto the 30mm leg!" 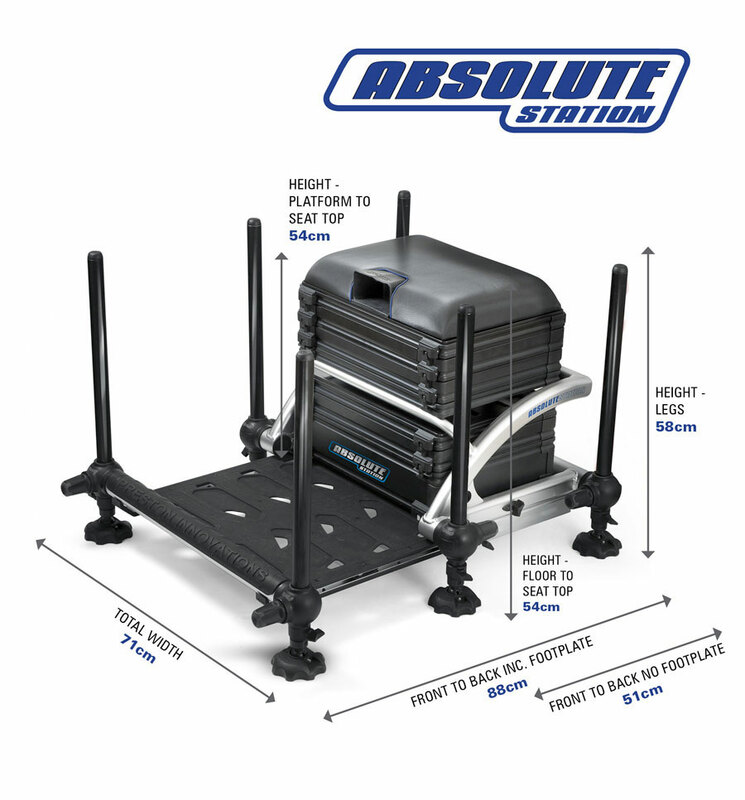 The legs are a new larger 30mm diameter which helps to make the Absolute Station ultra-stable. 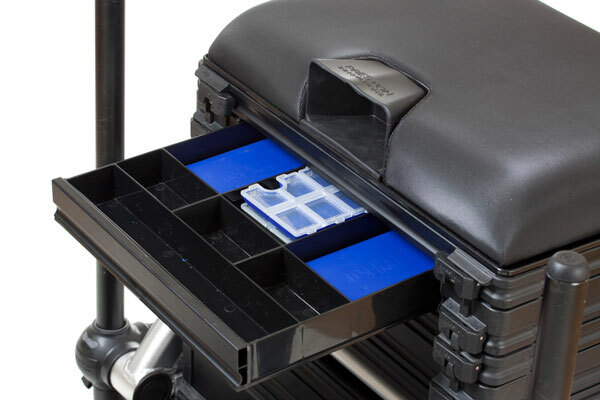 Compatible with all existing OffBox accessories, simply attach without an insert fitted. These new legs are mounted as low as possible to the ground meaning you can make your seated position super-low if required. The removable footplate is perfect for those situations where you don’t need a footplate, like narrow towpaths or man-made platforms. The plastic cover makes it easier to clean down your box after a session on the bank. 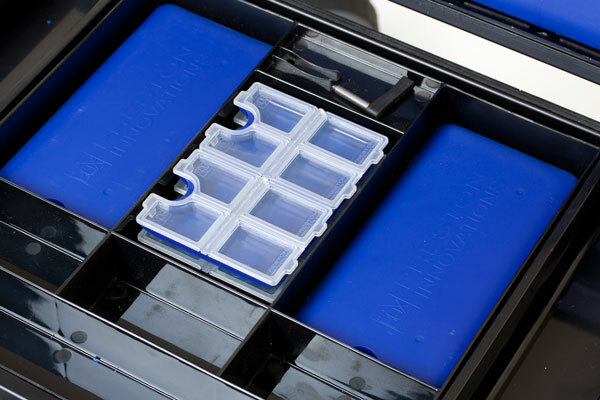 A cleaner box will ultimately last longer and make your fishing more efficient. Remove the footplate during transit and you’ve got plenty of space left in the car – ideal when travelling with a team mate or when storage space is at a premium. Plus two small and one large hooklength box which clip neatly under the seat and carrying lid. 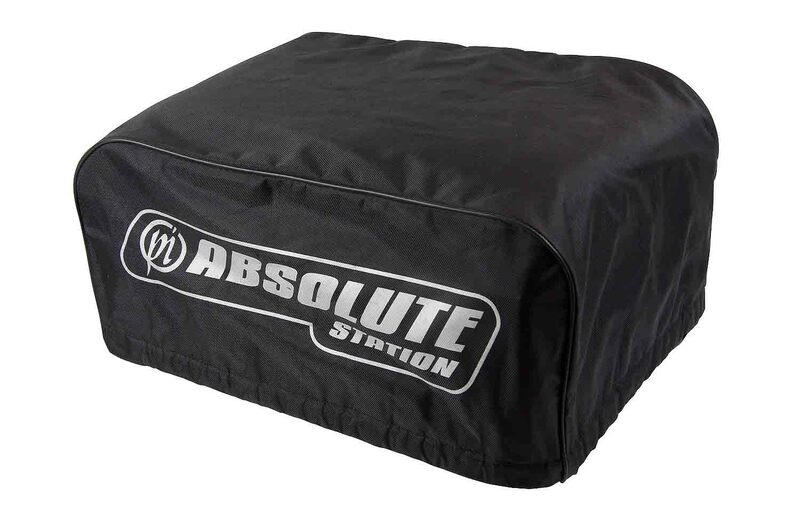 A water-resistant cover for Absolute seatboxes.